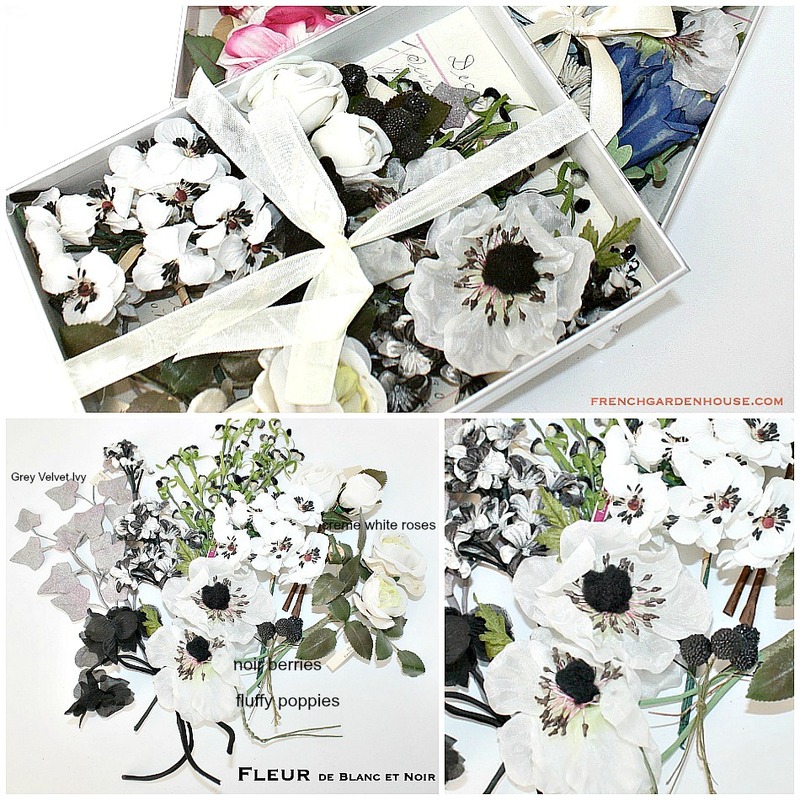 Beautiful box with hand selected flowers used long ago to embellish hats, & corsages, each box is filled with the most magical flowers outside of a garden. 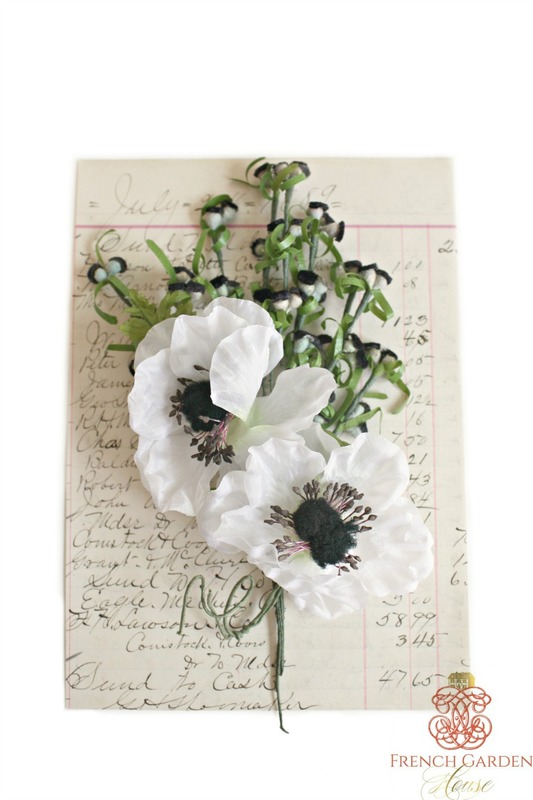 These flowers date to the 1930's - 1940's, and are made of silk, velvet, cotton, muslin and paper, many still have their original labels attached. Each box may be slightly different, but all represent incredible value, a fabulous addition to your collection. Made in France, Czechoslovakia, Italy, Germany and Occupied Japan, for the luxury hat trade. 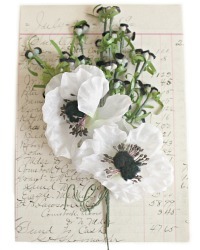 Pin them on your suit, a la Chanel, embellish your art works, tie these to gift packages. Each collection box is beautifully packaged, filled with an assortment of sprays as shown.